The Behringer Eurolive B205D portable PA system is a multifunctional 150 watt active speaker used for keyboard or vocal monitoring. It is useful during press conferences, in home recording studios, and at other multimedia events. With the revolutionary Class D amplifier technology and switchmode power, it produces good sound without being bulky and heavy. All necessary equipment can be carried in one trip. The Class D amps deliver power only when needed so power losses are reduced. Even though this unit can stand alone, a person can add other loudspeaker systems through use of the THRU socket. There is a built in mixer which gives three input channels. 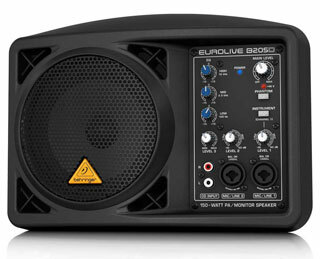 The Behringer Eurolive B205D comes with custom designed speakers which assure high quality. It also means that production costs are lower. 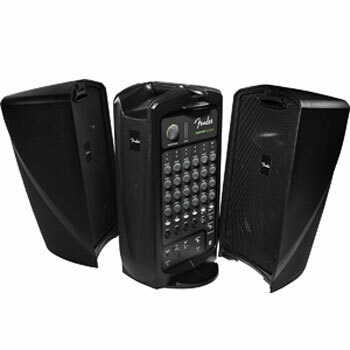 Besides being used as a PA sound system, two units can be used together to achieve stereo playback of a CD or MP3 without any other hardware. The B205D also is a great monitoring system as well. It is small enough to go anywhere, yet is powerful enough to produce great sound. 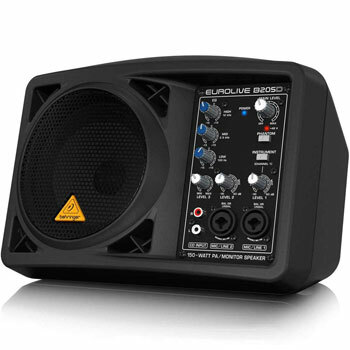 The Behringer Eurolive has been used by many customers who found the device irreplaceable. Most people cannot believe that such a small unit can deliver such high quality sound. Individuals who do work presentations love the versatility of this machine. It works well with a wireless microphone as well as provide background music from an iPod or other musical devices. Most people enjoy the lightweight design which increases ease of portability. Some users have noticed how well made and durable the speaker casings are, which will guard against damage. For people who are used to performing in front of a crowd, this unit also scores positive feedback. The speaker aspects work well to achieve loud sound in a small area and when used as a monitor, it gives little feedback from the microphone. One feature that really works well for a vocalist is the fact that music can be input from an external amp to the monitor through the frontal jack to automatically remove echo. This results in a crisp and clean sound. 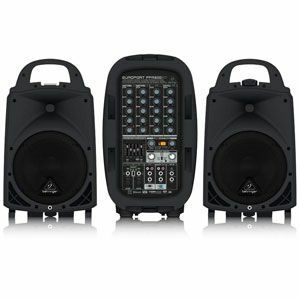 Mostly everyone marvels at the inexpensive price tag associated with the Behringer Eurolive B205D PA System. It is almost unheard of to have as much functionality as this device and still have such an affordable cost. As with any product, there are a few suggestions which may improve this device. First, some consumers would have liked to see a better instruction manual regarding how to make the proper connections on the Behringer B205D. Other users feel that there could be improvements made to the adapter that is used to mount the boom from the top of the unit. 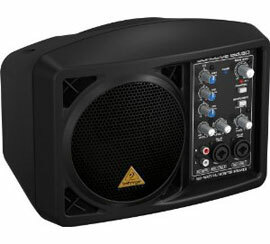 Overall, the Behringer PA sound System is well received by most customers. The product quality cannot be beat, especially for the price. The small unit fits on a mic stand with ease and produces excellent sound. It is so powerful that it can be used as the main source of sound for small meetings, concerts, or other gatherings. Certain engagements present limited space. Often, full sized monitor wedges cannot be placed in the needed areas and other monitoring systems require high amounts of external gear to make them work correctly. This portable PA system is excellent for anyone looking to produce high quality sound at a very low price point. One of the best features with unit is that it is extremely portable and compact. Any performer or speaker will find this unit extremely simple to use at any concert or event. There are few other products on the market that will even come close to the Behringer PA system. 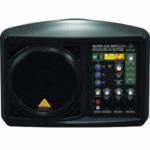 You can find more customer reviews about this Behringer Eurolive B205D PA System on Amazon here.